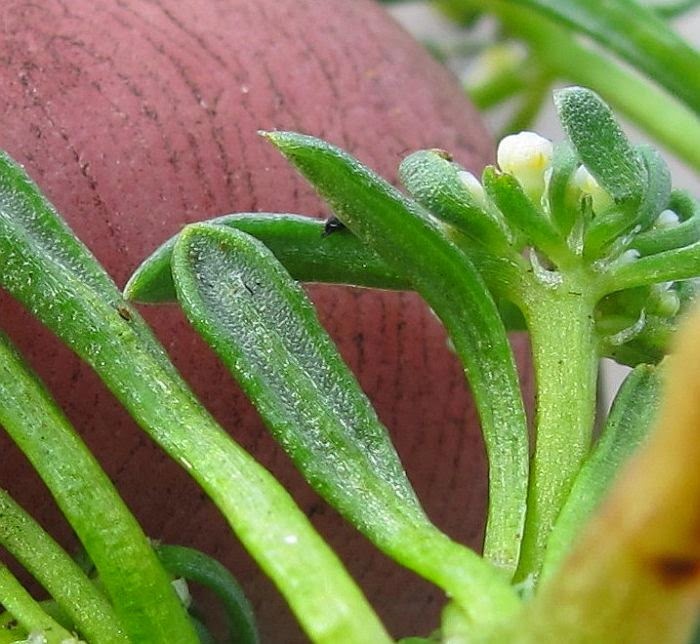 Until recently I had no idea how common and widespread this brightly coloured little herb was! It has been extensively recorded in all States, plus NZ, especially in areas where the average annual rainfall is 50 cm (20”) and above. However from my local experience, you need to be in the right place at the right time to see it and that is within 3 years of a bushfire. At other times even when the soil is disturbed there is absolutely no sign of them, but after a fire in the resulting barren landscape. they pop up all over the place. 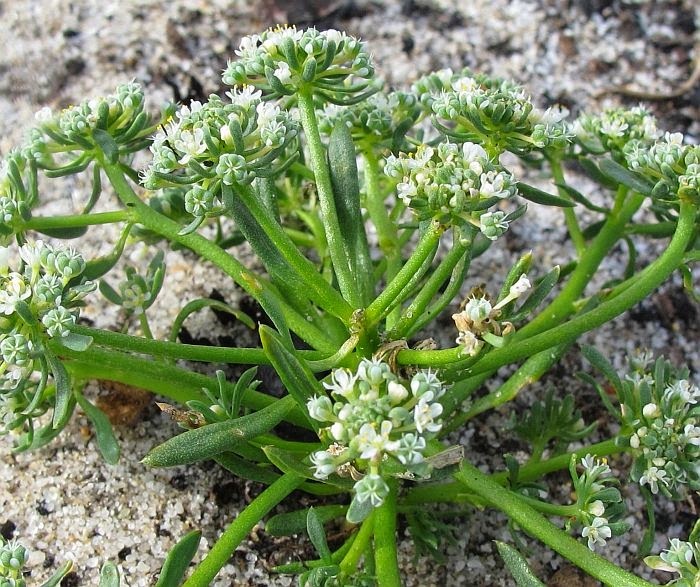 It is a fleshy plant commonly growing to 15 cm (6”) diameter and around half that in height, and with their clusters of white flowers against the pea green foliage, they cannot be easily missed in a blackened landscape. 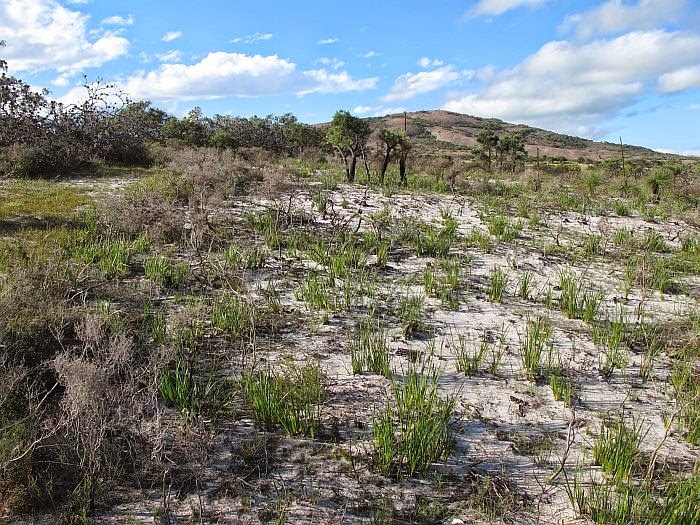 However after 2-3 years they will usually disappear, as other vegetation begin to re-establish. 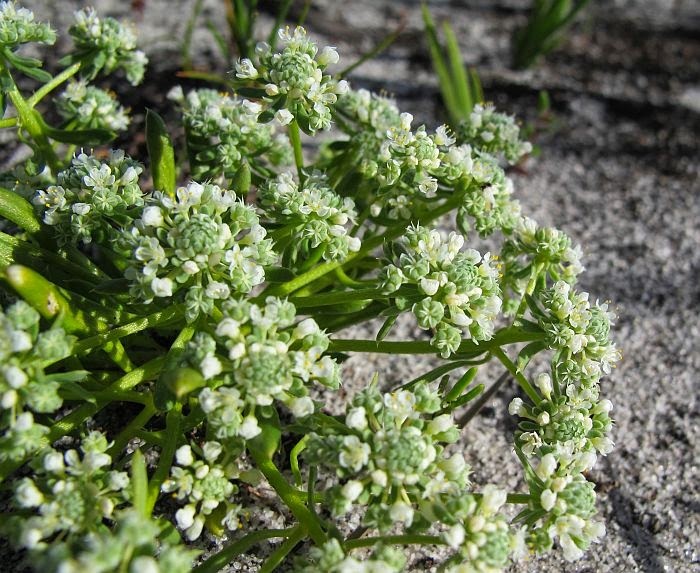 Locally, this herb grows in a non-calcareous sandy soil, where subsurface moisture is available, which as an annual in a winter dominant rainfall zone, can include areas around swamps and seepage areas, plus also on top of large gently sloping sandhills. 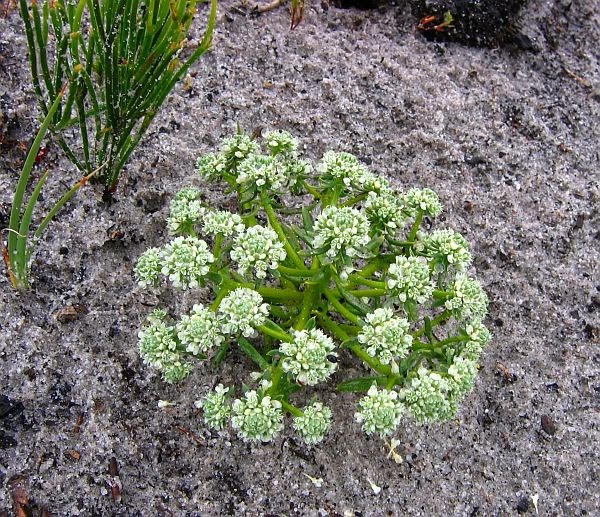 As these different habitats dry out at the approach of summer, Poranthera microphylla die off but may germinate from seed the following season. 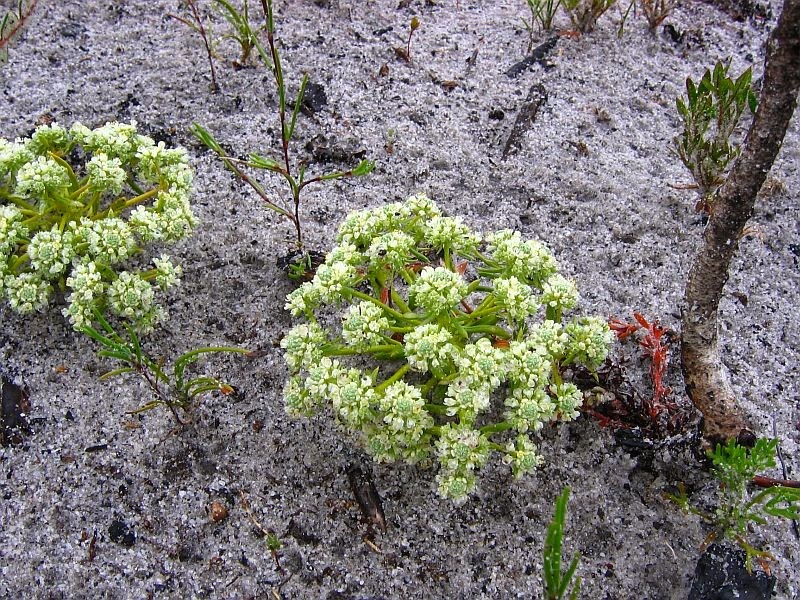 In WA providing the soil moisture is available, it can flower continually from June to December. It should not be eaten however, as it is a known to produce cyanide and is suspected of poisoning stock, although general handling should not present a problem. Poranthera is part of the Phyllanthaceae family, but may still be listed under Euphorbiaceae in some references. 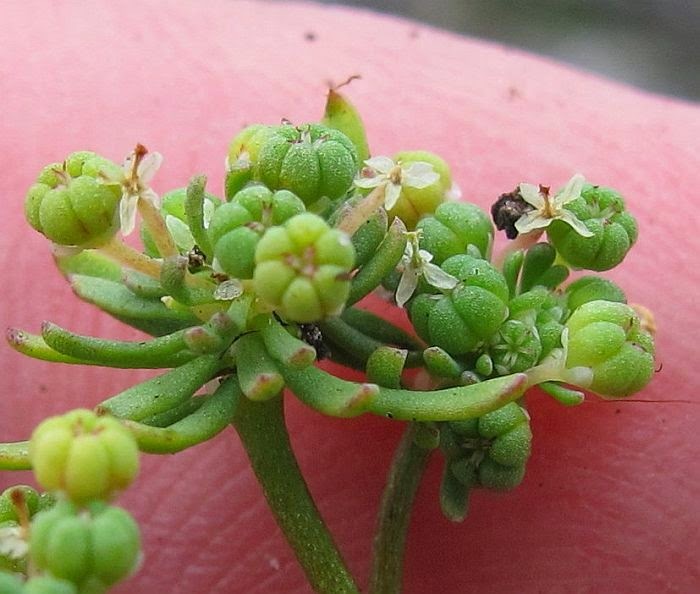 Phyllanthaceae have two ovules (basic seed structures) in each locule (ovary partition), whilst Euphorbiaceae have more. 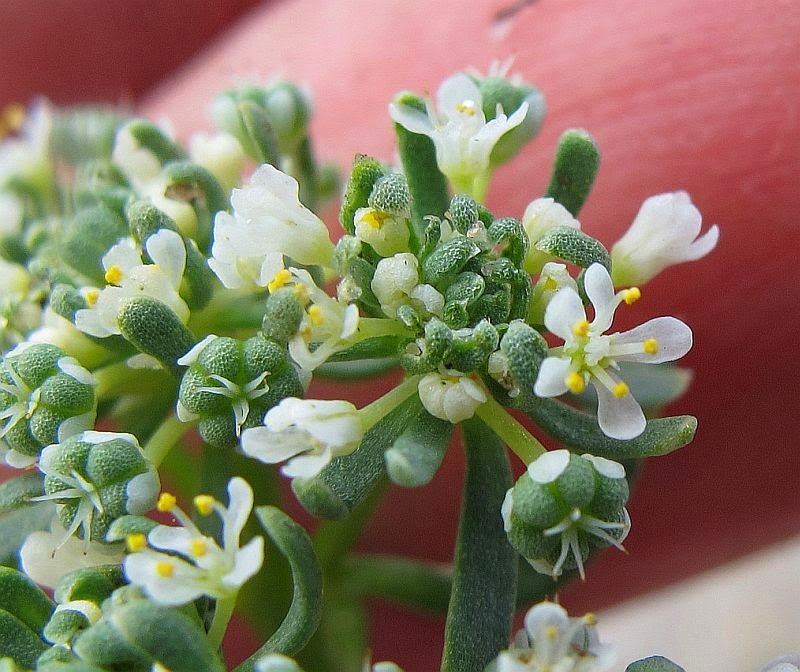 Also plants in Euphorbiaceae have a milky latex, whilst those in Phyllanthaceae have not.